You and your family members fall sick often. The reason is the roaches defecate on your food items which have been ingested by you and others. The optimal way-out of getting rid of roaches is to seek assistance from our pest specialists as early as possible. The mention of roaches leaves many people in a panic situation. If you happen to catch sight of roaches after you sleep, then do not get awestruck. Roaches are likely to be seen in the nights. When all lights are switched off at your place, these roach pests come out of their hidden infestation zones to hunt for food. The prime time of feeding on your food items is during the night. The leftover foods on the table and the dirty dishes in the sink provide a tasty treat for roaches. The damp areas and dark zones are the favourable places for roaches. If you search these places, you are sure to find roaches. The body of a roach is oval-shaped with a flattened tummy. The size of every roach specie may not be the same. The color of roaches too vary. The roaches have big antennae over their heads. These pests have wings which help them fly. You should keep in mind that not all roach species are available to fly. Some roach species have short wings which appear to be invisible at times. These filthy pests eat organic food and can also consume soaps, pages of books, glue and other deposit matter. Roaches are not a welcome pest because they scurry on the waste products and bring germs along with them which turn out to be toxic for your health. These insects can easily fit themselves into crevices, sewer pipes, basements, old and unused stuffs and in other humid and damp places. You should not delay in scheduling a pest controller for eliminating roaches. 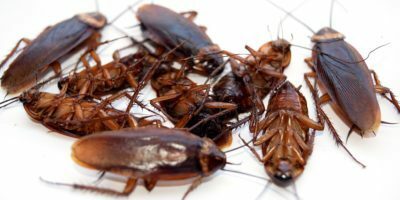 Make an appointment with our cockroach control Brisbane professionals to eliminate all roaches away. Do you have to worry about roach infestation? When it comes to your health, then you need to be worried about the roach infestation at your place. Roaches move around several filthy places. They even defecate on the items and food items they happen to move and consume. Upon consuming those contaminated food, any healthy person can fall sick. Stomach-related issues are likely to develop who consume the germ-filled food. Moreover, if you have allergy issues, then the infestation of roaches can aggravate. The allergies on the skin can be seen in the form of skin rashes. People who are suffering from asthma should stay away from roach infestation, as the presence of roaches can trigger asthma. Get cockroach treatment Brisbane solutions for your home to keep roaches away. How you will know roaches are there at your place? You need to be alert to know if roaches are there at your place. If the level of infestation of roaches is low, then you might not see roaches directly. If the level of roaches is high, then you will see roaches directly at your place. The infestation will likely to be traced in dark zones where natural or artificial light does not reach. The pellets of roaches are one of the significant signs of roach invasion. If roaches are present in your zone, then you will get musty odor around you. The presence of egg shell casings is another prominent sign of roach infestation. You should not try to exclude roaches by yourself mere by using the roach sprays which you get in the local stores. You have no idea which roach species have sought shelter in your place. Wrong pesticides can turn out to be perilous for your health and others. Therefore, you should relent to our pest controllers who will tell you everything detail about the roach species. When our pest servicemen will arrive at your place for implementing cockroach control services, they will update you about roach species. The common roach species of Australia are German roaches, flying roaches, Asian roaches, American roaches, oriental roaches, smoky brown roaches and Australian roaches. Will it be good to exclude roaches by myself? Your lack of knowledge on roach species may land you in a serious problem in the near future. Hence, we advice not to attempt experiments on roaches. It is better to leave the infestation issue to our pest controllers. Our experienced cockroach control Brisbane pest guys know the best method to tackle with roach species. We are one of the acclaimed pest control company in Brisbane. The residents of Brisbane and the nearby vicinity can hire our pest services. We assure to reach your place on time and the suitable roach solutions will be implemented at your place. Our pest control specialists can exterminate roaches from home and office as well. 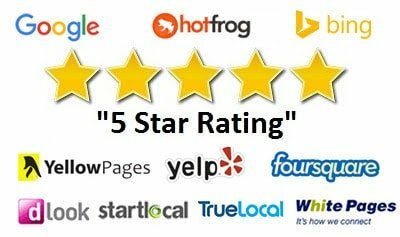 How we will solve your roach infestation problem? It is essential to know where roaches have made their infestation sites. Our pest inspectors will be looking for the infestation sites which are not seen by you. Finding out the invisible breeding sites is indeed tricky. Therefore, our pest control specialists will make use of the tools which are designed for finding out roach infestation spots. Once the breeding sites are found, then our pest guys will dust the roof, use sprays and apply baits on those places where roaches tend to breed often. The use of our enviro-friendly cockroach control services on the targeted areas will stop roach infestation permanently. Many a time, the house owners do not approach pest control companies because they charge high price for their services. If you approach our pest control company, you will not be charged excessive price for our pest solutions. The cockroach treatment Brisbane solutions which we offer can be obtained at a budget-friendly price. For your benefit, we will offer you a free quote. You just have to fill up our form and avail quote for free.